A colorful and abstract visual of a spirit animal, this video loop will do great in your set. A neat video to add to your media library. 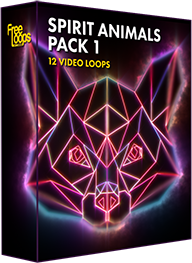 This video loop is part of Spirit Animals Pack 1.